Here is the second book for today! 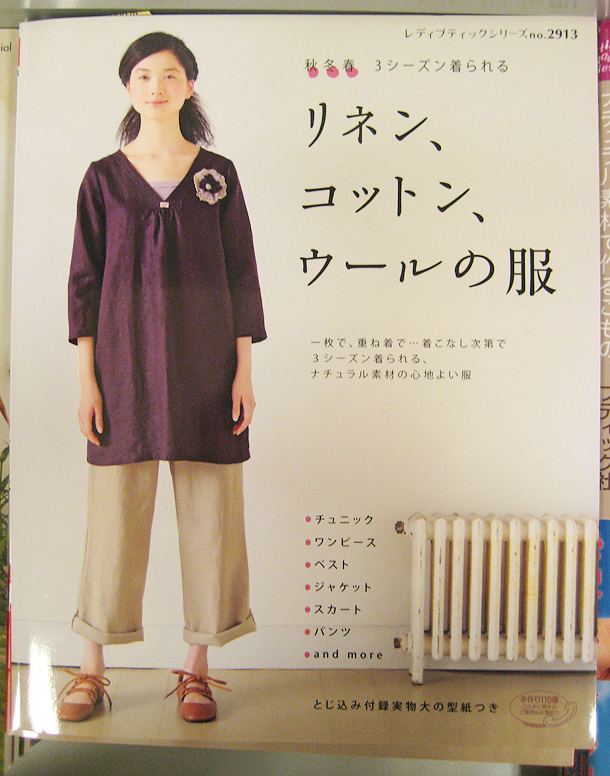 Clothes made of linen, cotton and wool. 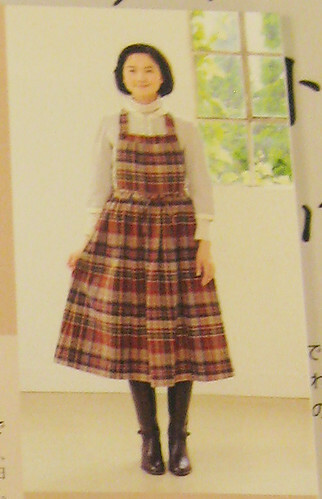 The outfits in this book are supposed to be okay for autumn, winter and spring. Do they intend to not publish anything else until summer? 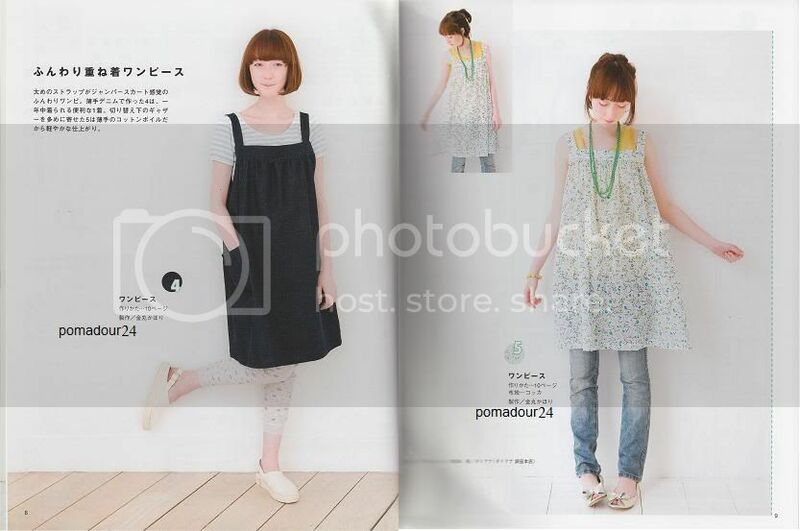 ^^ The style is leaning towards the “natural clothes”, those that you can find for example in the Pochée magazine (reason why I’m posting this book and the Pochee Special together). 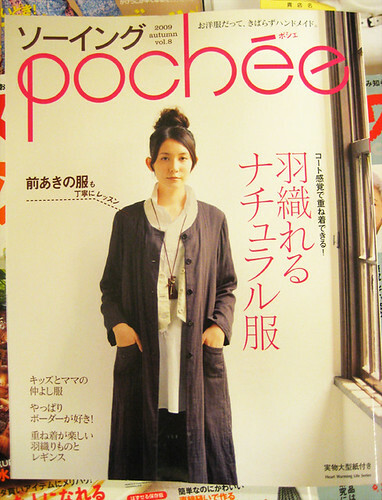 I don’t have as many pictures as for the Pochee book (especially since the clothes are more varied here and I couldn’t summarize everything with just a few pics) but you will get the table of contents and a few pictures that illustrated it on the book. 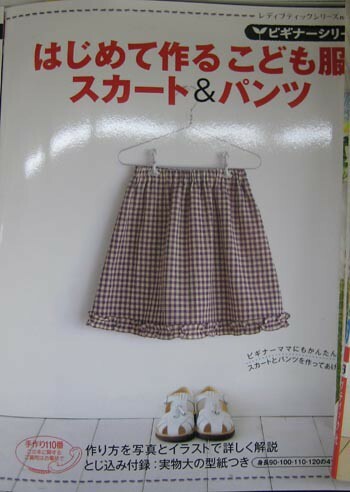 As for sewing explanations, it works like every other book from the “Lady Boutique series”. Some explanation are in color, in the middle of the outfit pictures. The other are in b&w at the end of the book. All text explanations come with detailed drawings. 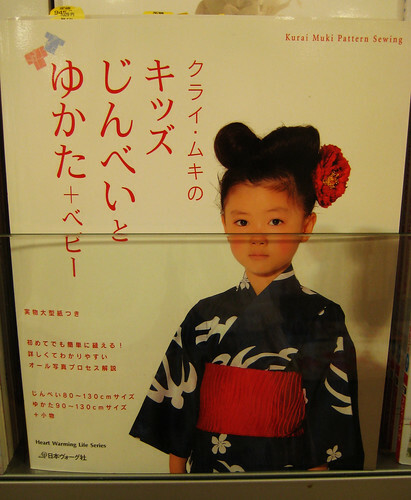 “Kids no jimbei to yukata + baby” (Jimbei and yukata for kids and babies). You can easily guess what this book is about. 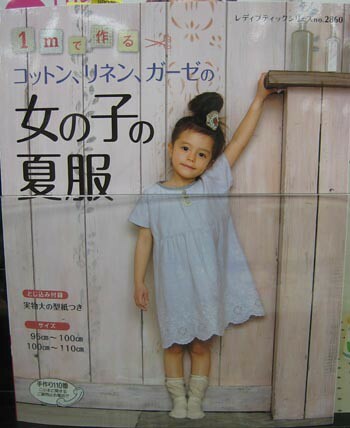 Those are traditional summer clothes for children. The yukata is a simple cotton kimono worn in summer. 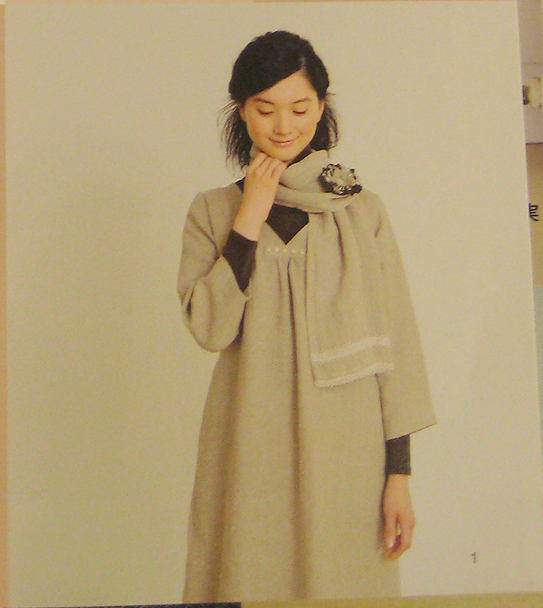 It’s lighter and less formal that the usual kimono. It’s often worn by japanese people as festivals and fireworks. 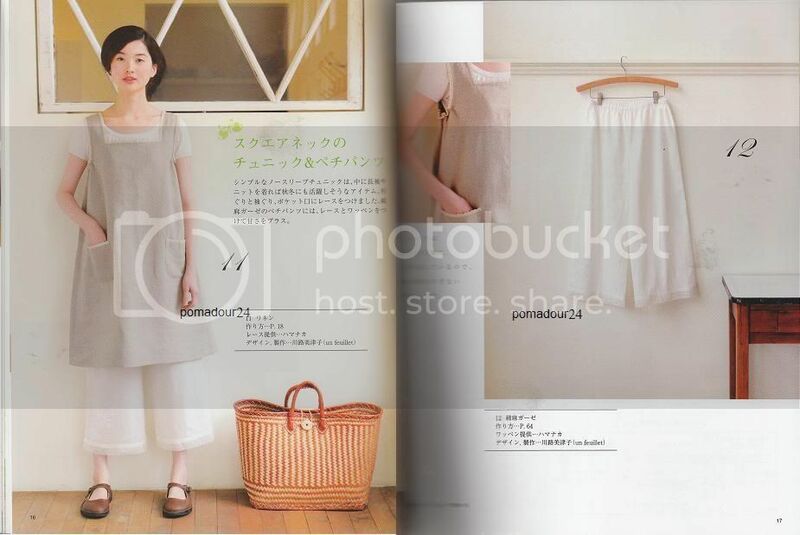 The jimbei is a two pieces outfit composed of a pair of short pants and a kimono-style top. It’s also made of cotton. It’s worn mostly by men but I think women can also wear it. “Daily wear”. 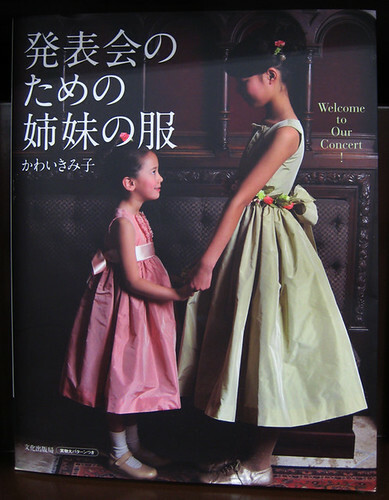 The outfits inside are like the one on the cover: quite simple and large shapes. Nothing really fancy here but rather comfy clothes for daily use. There are a few pics that are not very clear as to what the clothes actually look like, but luckily all of them are listed at the beginning of the book (with unworn pics). There are 12 base-types, and for each 2 or 3 variations (the clothes are numbered from A01 to L02). You can find a little of everything: dresses, tunics, camisoles, skirts (2 types I think), pants (1 type I think), outerwear. They have a few cardigans/jackets/coats that I actualy found quite nice and useful. Otherwise the rest of the clothes are not to my taste (not fitted/shaped enough) but for those who like that kind of clothes they might be nice, there are nice design ideas. 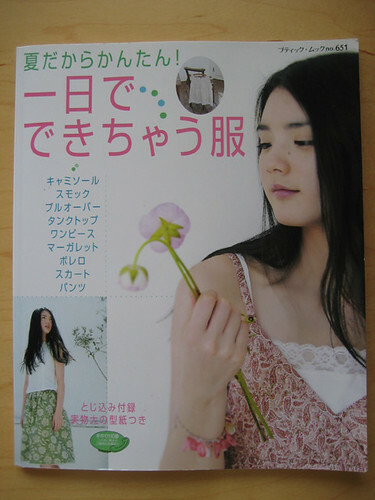 “mainichi, harishigoto” (“Daily needlework”). 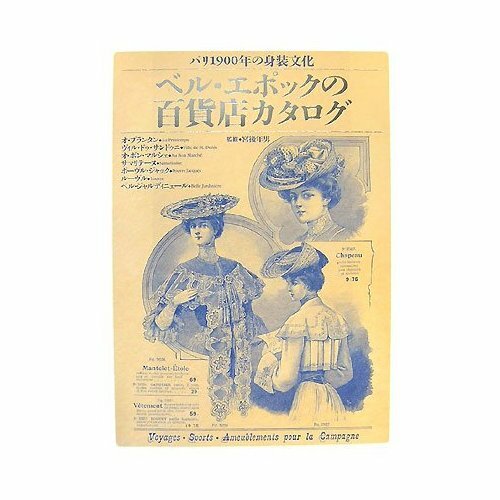 This book is mainly about accessories. Many bags, aprons, some small things for the house. You can see a few examples on the book’s Amazon page. 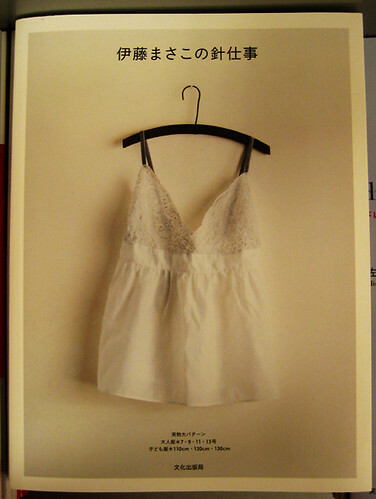 “Ito Masako no harishigoto” (“Masako Ito’s needlework”). 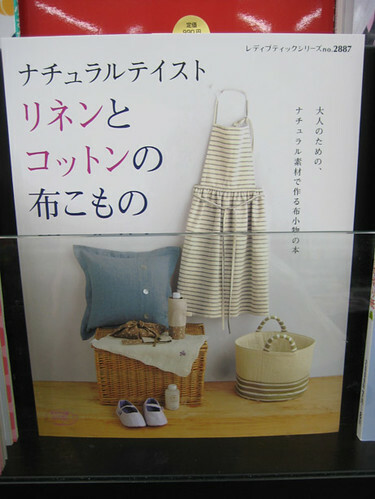 A slightly different book, in the way it offers the patterns. 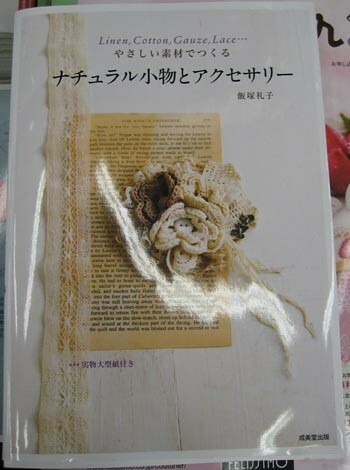 It is composed of several short sections, each one of them talking about a different subject related to sewing/fabric. What I found funny is that the subjects are not really linked to each other. Here are a few examples: Ikea fabrics, repurposing old sheets, marimekko fabric, hankerchiefs (two types), running stitch, linen, smocks. With each subject they give the pattern for one garment. 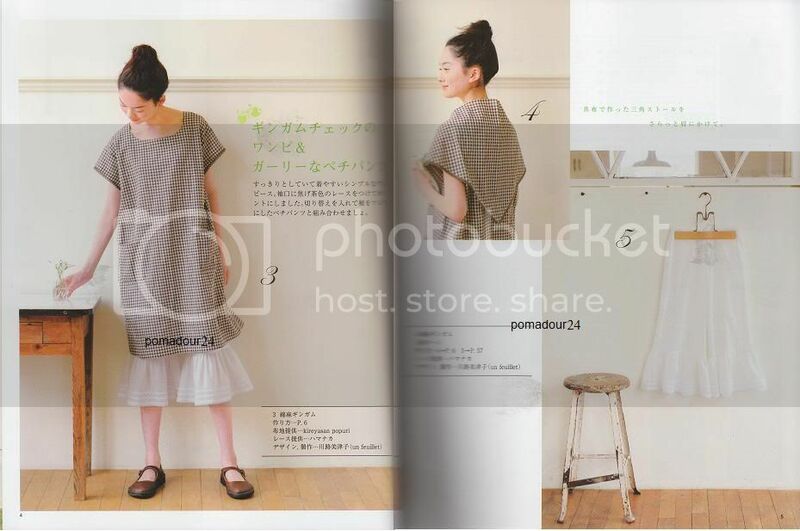 You find one page of text describing (I think) the subjet, then a picture of the garment, then two pages of pictures related to the subject. It’s more of an actual craft/art book than just a pattern book. I’m devoting a whole post to this new release. Since it’s a little different I took more time to look at it and I can write a more detailed review. 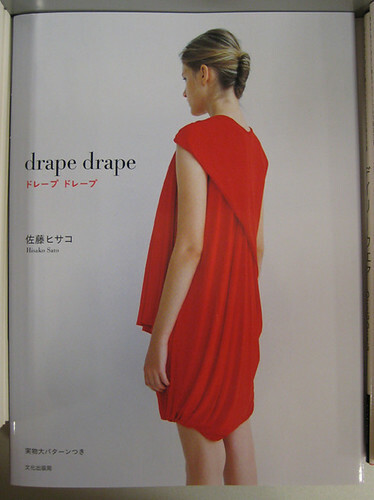 It’s called “Drape drape”, and is, as you can guess, about creating drapes. All the clothes inside (women clothes only) are draped and quite loose fitting. At first I was happy to see this book, because I’m interesting by this technique. 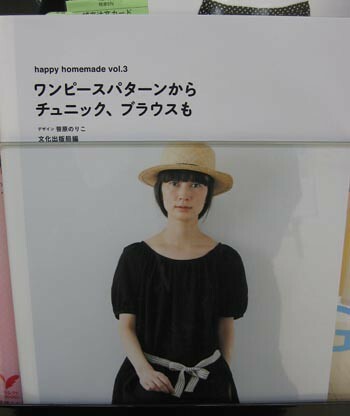 But I was a little disappointed: the clothes are not easy to wear at all. They have strange shapes and because they’re so loose, they sometimes do not cover enough of the body (especially when you consider that the model doesn’t wear anything under). You would definitely have to add other layers. Other people might love them I’m sure, but they’re not really my style. 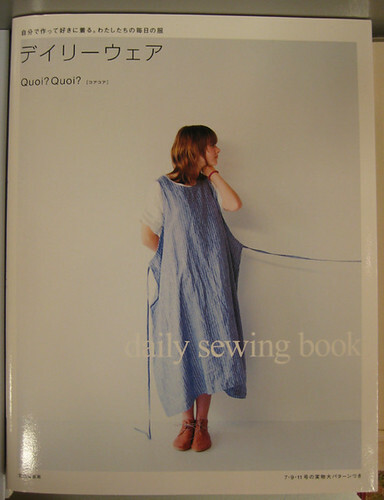 So this book seems to be more interesting as a drape learning and inspiration tool than a quick pattern book. Let’s talk about the technical part now. It starts by explaining basic sewing things and tools as often. 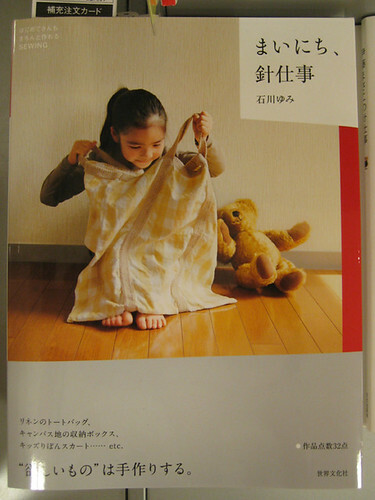 They also explain drapes and the different techniques they will use to create them: tucks, gathers and a combine technique that they call “drape drape”. Each garment then uses at least one of those. There are text and pictures to describe them, as well as explainations on how to construct them from the pattern (like how to cut, fold and sew to create tucks). They also talk about sewing machines and sergers, as they seem to use a serger to make the clothes. I’ve read on the internet that it is recommended to have one to use this book. As they don’t seem to add any advice for people who don’t have a serger at home, I can understand that. I guess you’d still be able to make the clothes without, but it might take more time. 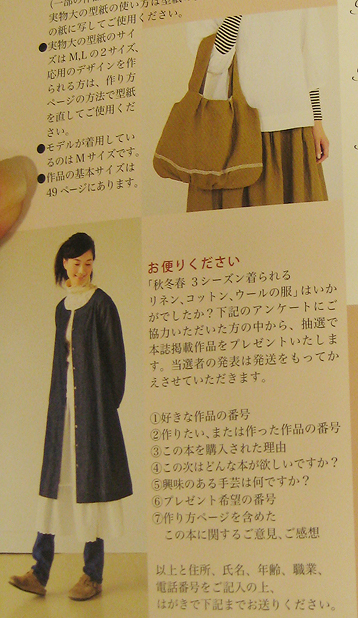 As for each garment explanations, I think it’s not that easy to understand the construction if you don’t speak japanese. The drawings are not as detailed as they are in say the “One day sewing” series. 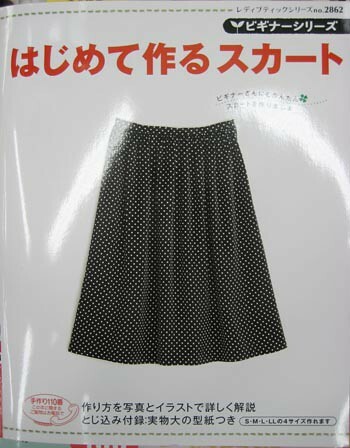 It looks more like the “Stylish dress book” series: some garments have very detailed drawings, and other only have two or three for the hardest parts. 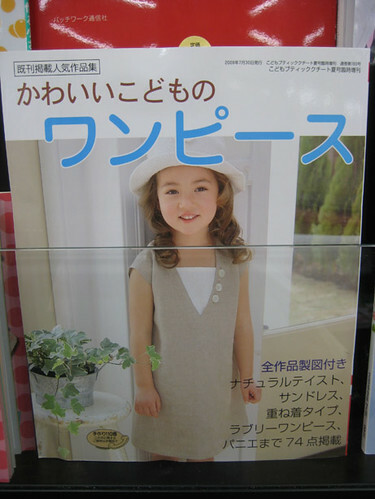 They also show you how to place the pattern pieces on your fabric and the pattern shape, with numbers indicating the different construction steps. But with all those tucks and gathers it’s sometimes difficult to understand the pattern, and how from this weird 2D shape you will get this 3D piece. ^^; I’m not saying it’s impossible to use for non-japanese people. Just that you have to be willing to spend quite some time staring at the drawings and making sense of them, and trying everything on your muslin first. I definitely recommend doing a muslin, because I’m sure this can lead to many mistakes and you don’t want to ruin your nice fabric. So I’d say this is for patient and determined people, who want to learn more about drapes or create orignal clothes. And with at least a little experience in sewing. But of course I don’t have the book and didn’t make anything from it, all this is based only upon my browing in the shop. It might be easier than it seems. 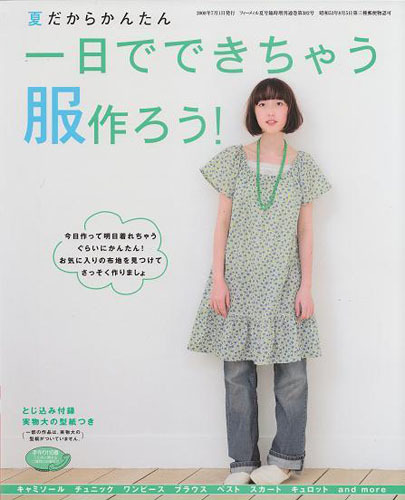 They also republished this book some time ago: “Ichi nichi de dekichau fuku tsukurou!” (“Let’s make clothes in one day!”, once again titled as “Natsu dakara kantan”). I don’t have much to say about it. 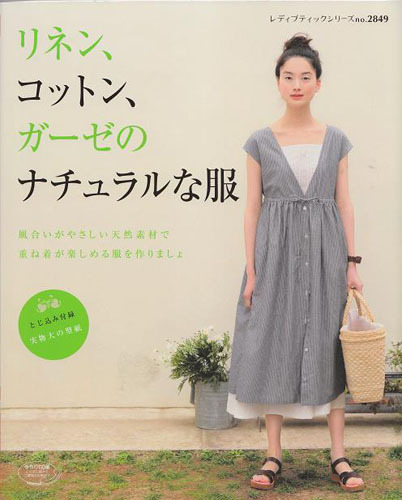 There are some cute pieces, but not so much compared to other books, or I already have similar patterns that I could modify to get the same result. 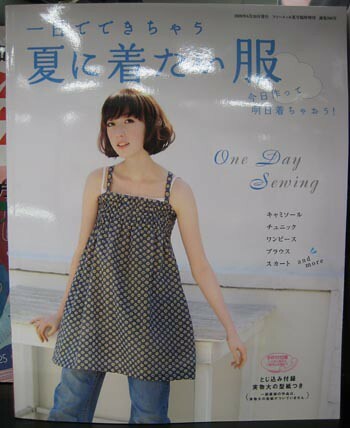 If you don’t have any book from the “One day sewing” series, maybe you’ll like it better. 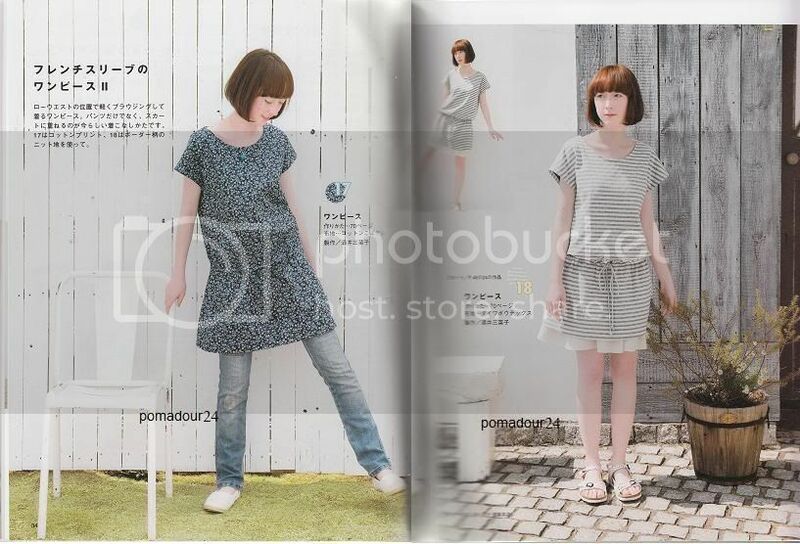 The things I like best are the n°5 tunic dress, which is very light and cute, and this striped knit tunic which looks very comfy for summer.